The return to the industrial relations and tax policies of the early 19th century has been spearheaded by people who speak the language of equality, respect, participation, and transparency. but slow to take any step. Thousands of people with a combined wealth of several hundred billion dollars, perhaps even close to a trillion, are gathering this week in Davos. Never in world history, quite possibly, has the amount of wealth per square foot been so high. 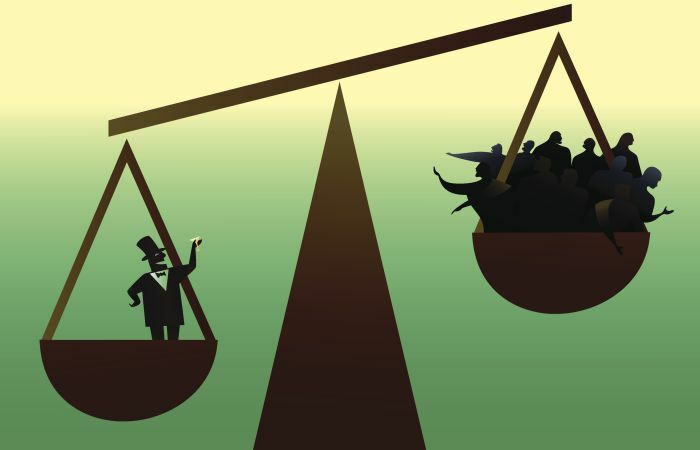 This year, for the seventh or eighth consecutive time, one of the principal topics addressed by these captains of industry, billionaires, employers of thousands of people across the four corners of the globe, is inequality. Even the new “hot” topics of the day—trade wars and populism—are in turn related, or even caused by inequality of income, wealth, or political power. Only in passing, and probably on the margins of the official program, will the global elites gathered in Davos get into a discussion of the tremendous monopoly and monopsony power their companies have. Neither will they publicly mention companies’ ability to play one jurisdiction against another in order to avoid taxes, ban organized labor within their ranks, use government ambulance services to carry workers who have fainted from the heat (to save expenses on air conditioning), make their workforce complement its wages through private charity donations, or perhaps pay an average tax rate of between 0-12 percent. It is just that somehow, the “masters of the universe” who gather annually in Davos never managed to find enough money, or time, or perhaps willing lobbyists to help with the policies many will agree, during the official sessions, should be adopted. For example, increasing taxes on the top 1 percent and on large estates, providing decent wages or not impounding wages, reducing gaps between CEO compensation and average pay, spending more money on public education, making access to financial assets more attractive to the middle and working class, equalizing taxes on capital and labor, reducing corruption in government contracts and privatizations. Not surprisingly, nothing has been done since the Global Financial Crisis to address inequality. Rather, the opposite has happened. Donald Trump has, as promised, passed a historic tax cut for the wealthy; Emmanuel Macron has discovered the attraction of latter-day Thatcherism; the Chinese government has slashed taxes on the rich and imprisoned the left-wing students at Peking University who supported striking workers. In Brazil, Jair Bolsonaro seems to consider praise for torture and the rising stock market as the ideal mélange of modern capitalism. Bizarrely, this return to the industrial relations and tax policies of the early 19th century has been spearheaded by people who speak the language of equality, respect, participation, and transparency. 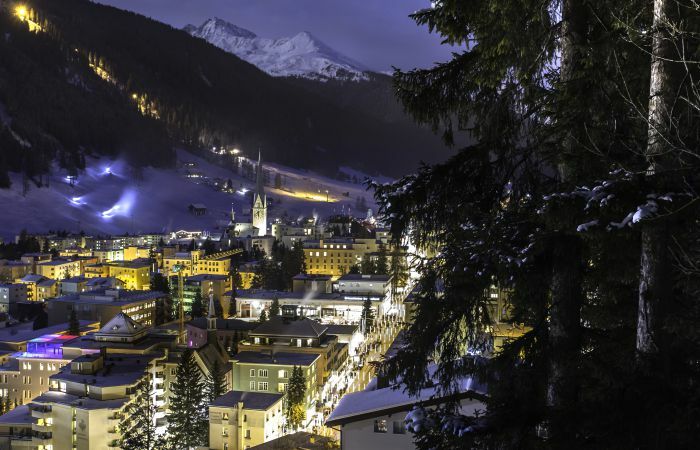 The annual gathering in Davos, in that regard, is not just a display of the elites’ financial superiority. It is also supposed to showcase their moral superiority. This is in line with a longstanding trend: Over the past fifty years, the language of equality has been harnessed in the pursuit of the most structurally inegalitarian policies. It is much easier (and profitable), apparently, to call journalists and tell them about nebulous schemes whereby 90 percent of wealth will be—over an unknown number of years and under unknowable accounting practices—given away as charity than to pay suppliers and workers reasonable rates or stop selling user data. They are loath to pay a living wage, but they will fund a philharmonic orchestra. They will ban unions, but they will organize a workshop on transparency in government. And next year, as inequality continues to rise and the state of Western middle classes continues to deteriorate, the same elites will be back in Davos, talking about inequality and populism in grave tones. A new record in dollar wealth per square foot may be reached, but the topics of discussion within the conference halls, and on the margins, will remain the same. Branko Milanovic is the author of Global Inequality: A New Approach for the Age of Globalization and of the forthcoming Capitalism, Alone, both published by Harvard University Press. He is senior scholar at the Stone Center on Socio-Economic Inequality at the Graduate Center, City University of New York. An earlier version of this post has previously appeared in Milanovic’s blog.